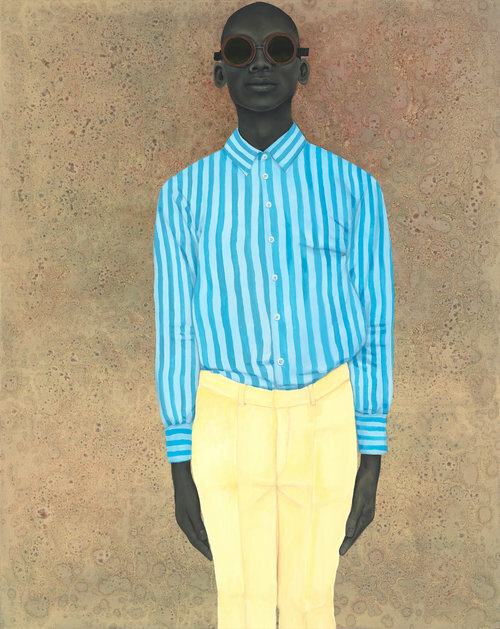 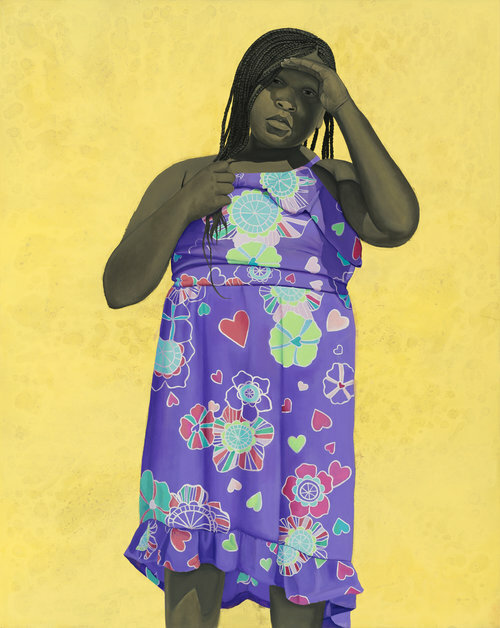 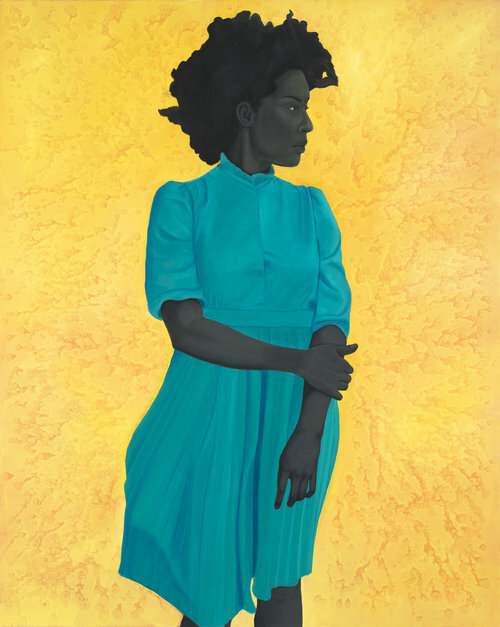 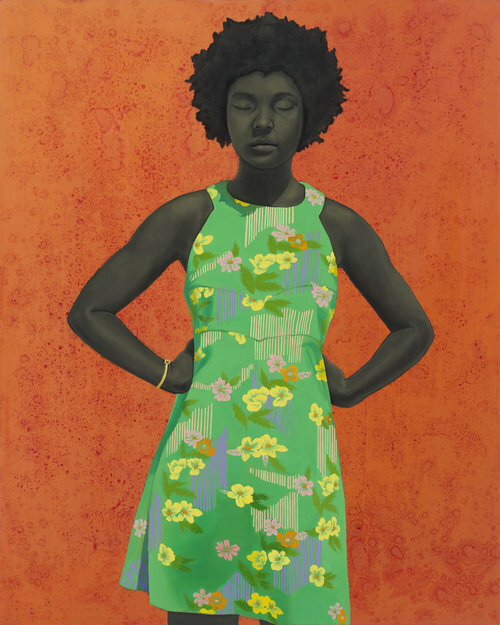 So much to look at in Amy Sherald’s portraits – the flat, bright, backgrounds with subtle texture, the monochromatic grey skin tones, the saturated colours and patterns in the clothing that contrast with the background, and the small details of light and shadow in the folds of clothing and the way it drapes over the figure to give these otherwise flat portraits a hint of depth. 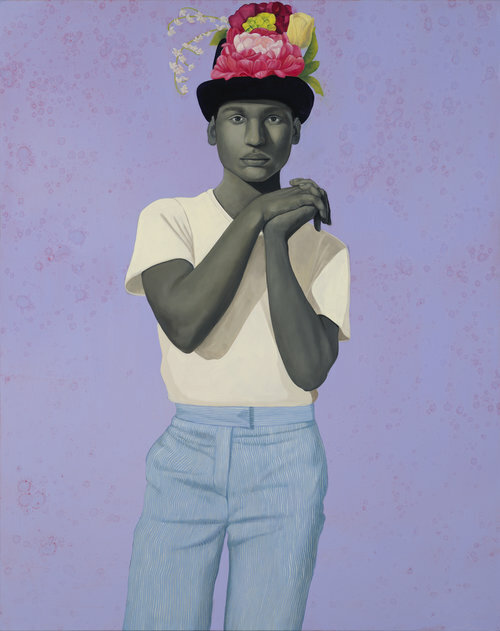 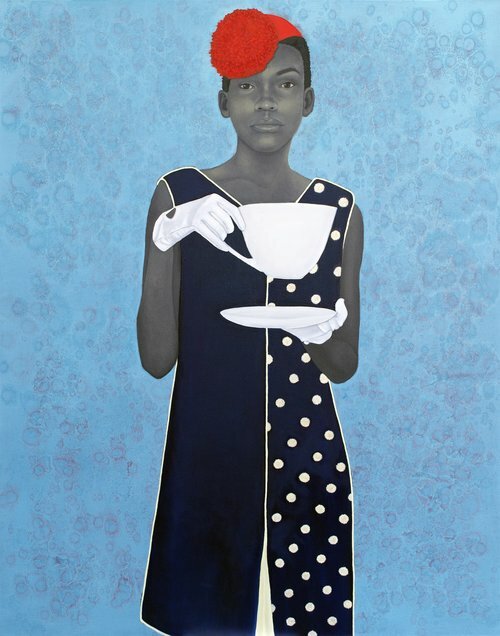 See more on Amy Sherald’s website. 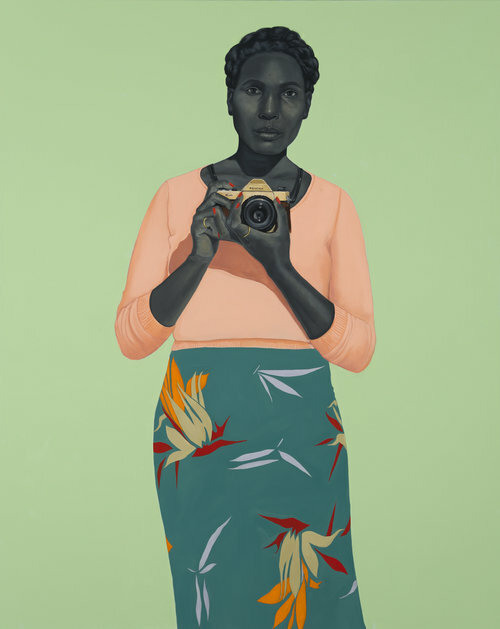 This entry was posted in Colour, Human Figure, Portrait on July 31, 2018 by admin.